In this Japanese name, the family name is Kimura. 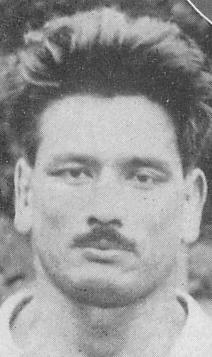 Masahiko Kimura (木村 政彦, Kimura Masahiko, September 10, 1917 – April 18, 1993) was a Japanese professional athlete. He is best known as a judoka or expert in the sport of judo. He is widely considered one of the greatest judoka of all time. Tatsukuma Ushijima is well known as a teacher of Kimura and himself is also former All-Japan judo champion. 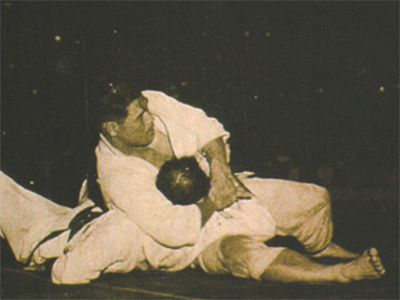 Kimura vs Gracie, with the Japanese holding the Brazilian in a kesa-gatame. 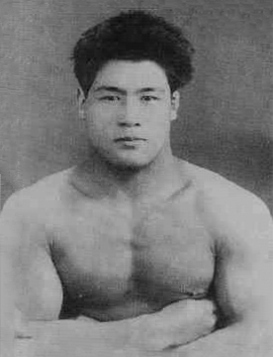 Masahiko Kimura Facts for Kids. Kiddle Encyclopedia.